The word Neavus is derived from the Latin meaning birthmark. Naevi can present in many different forms and anywhere on the body including on and inside the eye. 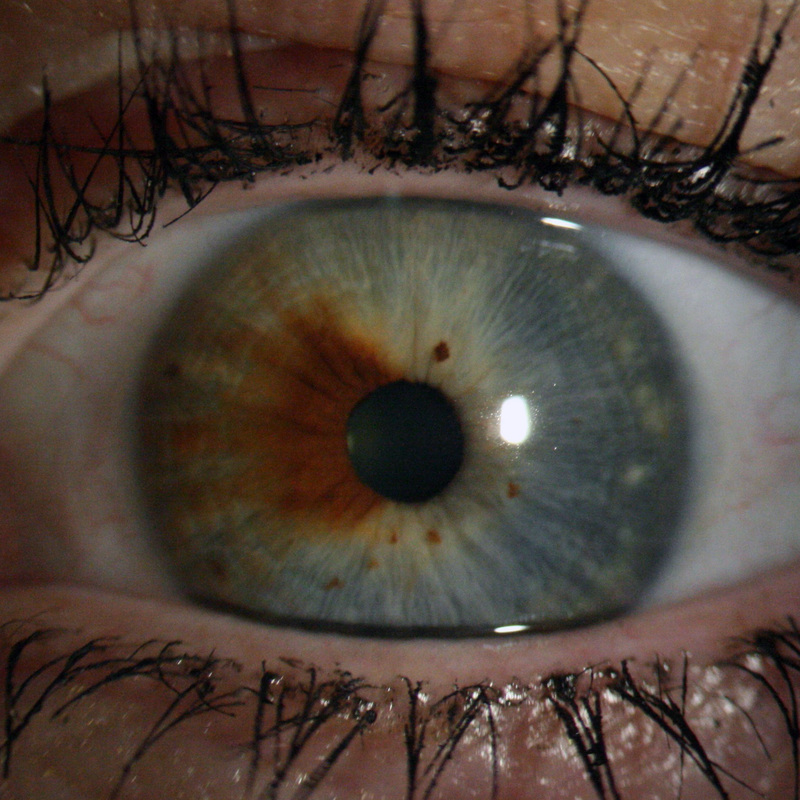 The most common form being a collection of melanin within the tissues giving a well defined and flat darkly pigmented lesion. 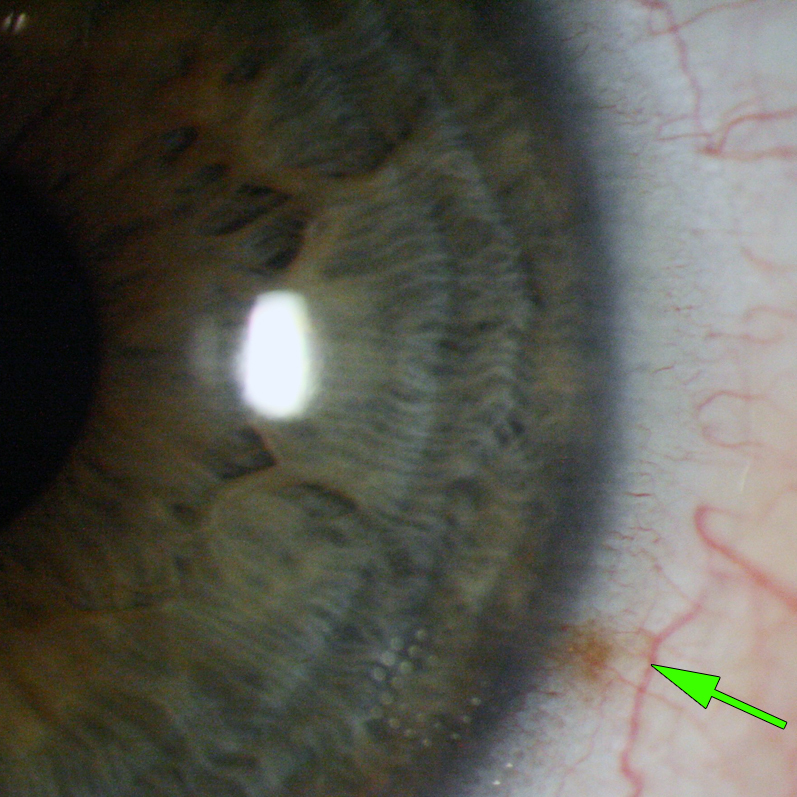 Obviously the naevi within the eye would not be noticed by the patient and would only be seen on ocular examination by a professional. 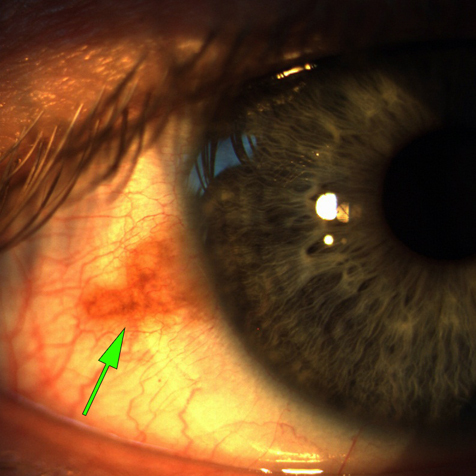 A Naevus is benign in nature, however, they can turn malignant in rare cases. It is important to monitor these areas of pigmentation regularly, just as you would do with a common mole on your skin. Here are some examples of naevi spotted at our practice, they are more common than you might think! If your Optometrists has identified a Naevus then there is no need to be concerned. They are quite common and in the huge majority of cases perfectly normal. 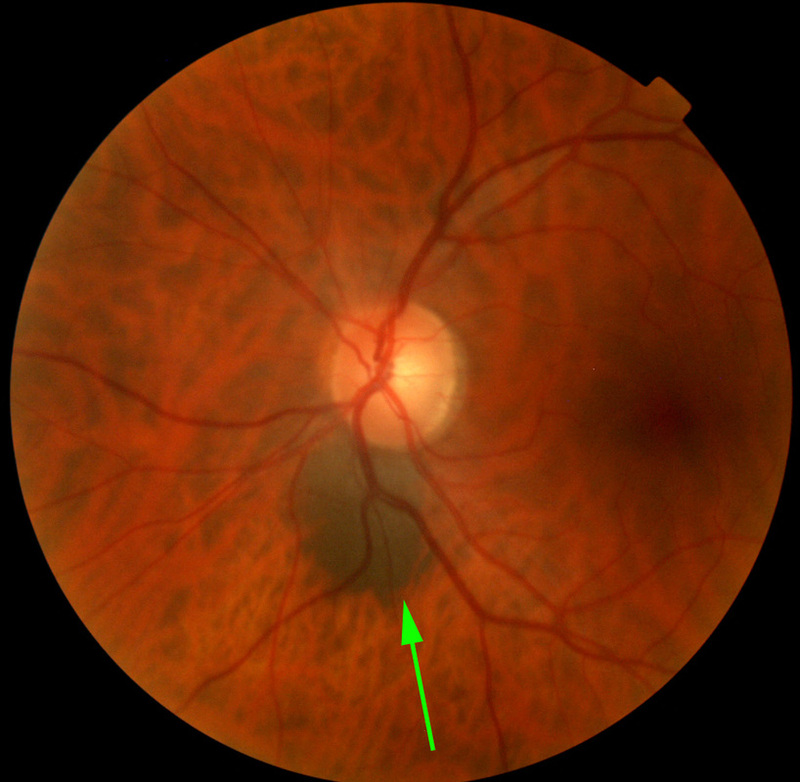 The priority is to monitor the size of the lesion, which for external Naevi is easily done by the patient themselves. 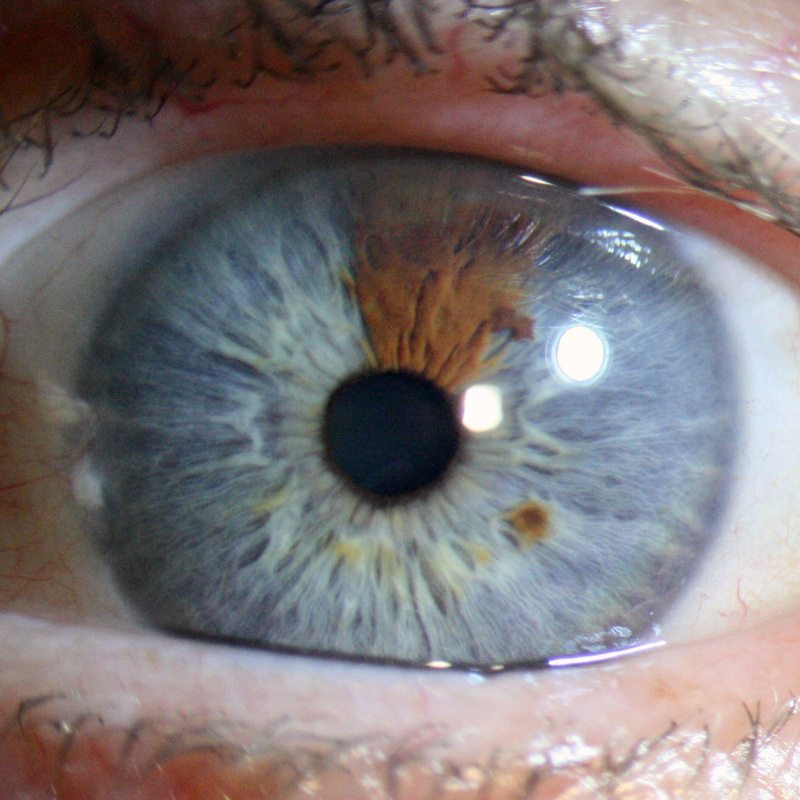 Our Optometrists will regularly photograph both external and internal naevi. We will then directly compare the results year on year.